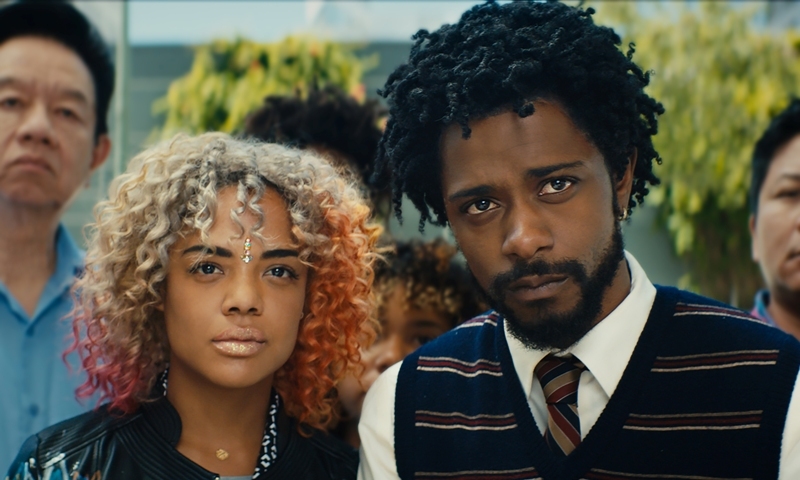 The Story: In an alternate present-day version of Oakland, telemarketer Cassius Green discovers a magical key to professional success, propelling him into a macabre universe. 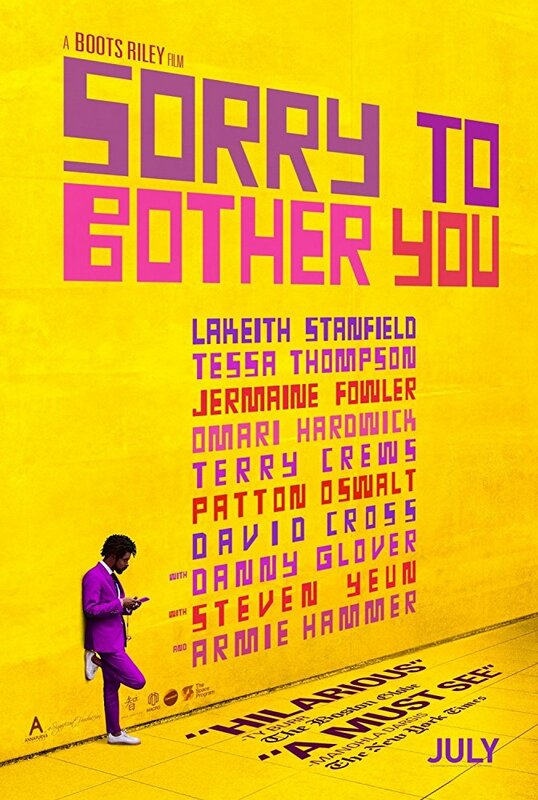 There is an awful lot going on in this movie with tons of social and political commentary and you can tell that writer and director Boots Riley had a ton of things he wanted to say. 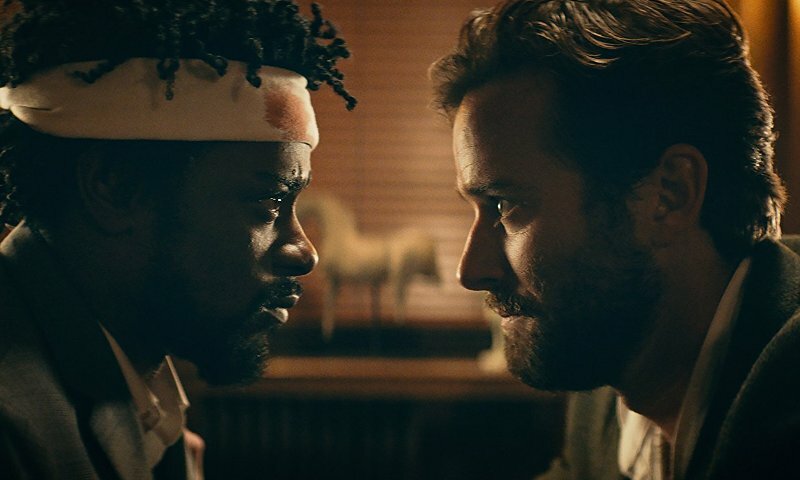 Lakeith Stanfield is very good in the lead role and is the primary vehicle that Riley uses to get the audience through his strange and deranged story. For me, I felt like there was too much going on which kept me from really investing in the characters or the world they were inhabiting. There are so many super talented people in the cast and I felt like each one of them was underutilized thanks to a story that didn't allow them to do their thing. Using an alternate reality concept allows for a lot of creativity although it also opens the door to leaving the audience behind if the concepts are a little too out there although, for me, I don't feel like that's where the movie lost me. It was more that, even with so much going on, nothing really happened. The characters are all super basic although it is implied that at least a few of them are fully realized human beings with rich backgrounds, there's just not enough time or effort put in to see it. I have so many mixed emotions about this movie because I selfishly wanted it to be super special and impactful to me and it really wasn't...at all. 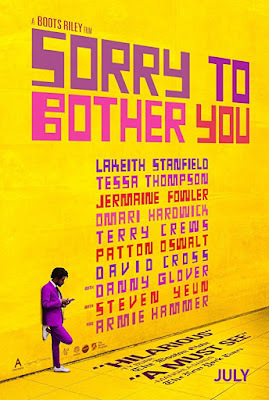 The messages are clear with a lot of politics, economics, race, and technology ground up together and fed to the audience in multilayered chunks, the delivery just wasn't up to par. The third act is super way out there although I'm not going to go into it because you have to see it for yourself and how you take this part of the movie in will define what you think of it. Sorry to Bother You is amazing because it takes so many risks and Boots Riley puts it all together in a way that is absolutely fearless and this is why it was so disappointing that I didn't enjoy the end result as much as I was hoping to. There will be people who are going to tell me I "just didn't get it." Thanks, I'm okay with that. I'll still be here waiting to see what Mr. Riley will be showing us next.